An Abuja-based landlord has found himself in serious trouble after he was arraigned on a three-count bordering on criminal breach of trust and cheating. A 42-year-old landlord, Sunday Agbo, was on Tuesday arraigned in a Wuse Zone 6 Chief Magistrates’ Court, Abuja, over alleged criminal breach of trust and converting part of a property he rented out to a church. Agbo of Plot 692, Durumi District, Abuja, was arraigned on a three-count bordering on criminal breach of trust and cheating. 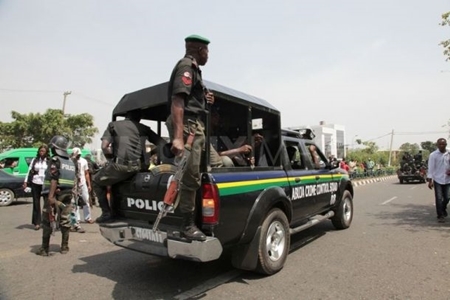 The prosecutor, Fidelis Ogbobe, told the court that one Bako Abubakar of the same address, on April 13, reported the matter at the Durumi Police Station. According to the prosecutor, Abubakar said that he paid the defendant N1 million to rent his apartment. The prosecutor quoted the defendant as saying that part of the agreement he reached with the defendant was that he would live peacefully in the property with his family. Ogbobe said that as soon as the defendant moved in, Agbo converted part of the property to a church, contrary to the agreement they entered into. The defendant allegedly ordered the security guard to lock the defendant and his family out of the property. Ogbobe said that the offences contravened the provisions of Sections 312, 322 and 256 of the Penal Code. Agbo, however, pleaded not guilty to the charges. The Magistrate, Abdulmajid Oniyangi, granted the defendant bail in the sum of N250, 000 with two sureties in like sum. Oniyangi adjourned the case until September 3, for hearing.